We’ve published the alpha version of our technical guide for government services planning to use GOV.UK Verify. The onboarding guide - an evolving document - has been available to government services for some time. It contains an overview of the 6-stage onboarding process, including lists of the outputs required at each stage. Service managers use the onboarding guide to oversee the integration of their service with GOV.UK Verify. We’re still working on this guide to make sure it’s as clear and helpful as possible, and we welcome feedback from users of the guide. Based on our experiences of working with the services already using GOV.UK Verify, we identified a user need for a separate technical guide with more information for technical delivery teams. Christian recently blogged about our plan to create two guides. Both guides are now available. 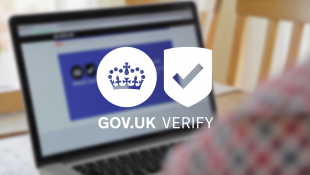 We want to make it as easy as possible for government services to integrate with GOV.UK Verify. The guides are designed to help everyone in a government service clearly understand and feel confident about their contribution to the integration process. Members of technical delivery teams tell us that they need detailed information about the concepts and processes involved in integrating with GOV.UK Verify. For example, they need to know what a public key infrastructure is and how to request certificates. This helps them make sure their service is secure when connected to GOV.UK Verify. The new technical guide provides this guidance. Throughout the development of the guides we’ve conducted user research to ensure we’re meeting the needs of our users. This showed us ways to improve the guides. For example, in the technical guide we made some of the procedures easier to follow, and we improved navigation based on user feedback. But we want to continue to make the guides even better. If you’re in a team building a digital service we’d like to hear whether the guides help you find what you need to know about integrating with GOV.UK Verify. We’d also like to conduct more user research on both guides as GOV.UK Verify moves from beta to live. So we’re looking for service managers and members of technical delivery teams who can spare an hour to participate in user research. If you want to get involved in our user research, or just want to give us some feedback, please do get in touch via email.